The business climate is the general economic environment that local businesses operate in. Reviewing and understanding the local business climate provides valuable insights about the economy, costs, risks, and incentives that may impact the success of your business. This activity will guide you to better understand the business climate in Penticton and help you answer the following fundamental questions. WHAT is the business climate in Penticton? We have compiled the most important aspects of Penticton’s business climate as an interactive dashboard below. This dashboard provides valuable economic, resident, household, dwelling and development indicators that may influence the success of your business. Whether you have a new or existing business it is critical to be aware of costs, incentives and grants that impact your business. This dashboard provides you with a snapshot of the major costs of conducting business in Penticton and assistance available to Penticton businesses. Property owners in the City of Penticton pay property taxes that help pay for city services such as recreation facilities, parks and trails, utilities, city streets and storm drain systems. Some property taxes are based on the provincial assessed values, while other taxes are a flat or pro-rated amount for each parcel or fixture. Commercial properties within the designated Downtown district see a levy on their taxes that goes towards the Downtown Penticton Association, which is a Business Improvement Association. The City of Penticton has little or no control over other taxing authorities’ levies nor the way they are distributed to properties in the City. However, to reduce the administrative cost of billing and collecting these other property taxes, the City of Penticton is the designated collector and includes these levies on the tax bill sent to property owners each year. The City of Penticton prides itself on having one of the lowest tax multipliers for business in B.C. This has been a strong contributing factor in making Penticton one of the most entrepreneurial cities in Canada, as identified by the Canadian Federation of Independent Business’s 2015 & 2016 national rankings. See how our multiplier stacks up against other communities and the number promoted by CFIB as a reasonable, competitive rate. Our 2018 property tax rates can be found here. The City of Penticton is dedicated to assisting you navigate through the planning, licensing and permitting process with ease and expediency. Planning is the lead department for all land development applications including Subdivisions, Bare-land Strata Subdivisions, Strata, Rezoning, Development Permits, Development Variance Permits, Temporary Use Permits and Agriculture Land Reserve applications, to name a few. The Planning Department also conducts studies and develops ordinances to govern land use, and engages in long-range land use planning based on growth projections. We would love to hear from you. A pre-application meeting is helpful in your planning process. We can answer your questions regarding building, engineering and planning before an official application is made. Once you submit an application, our Technical Planning Committee conducts a review of your formal application. The Planning Department can be contacted by phone (250) 490-2501 or email. Monthly reports are issued by the Planning Department and can be viewed here. The Building Department provides general information on and reviews building plans, specifications and associated documents (engineers' reports, truss plans, surveys etc.) to confirm compliance with the BC Building Code, Building Bylaw No. 94-45 and other applicable standards. We issue building permits, and collect applicable securities and Development Cost Charges. The Building Department also looks after Property File Requests, which can be useful when purchasing a property or planning a renovation. The City of Penticton provides access to property records and information related to properties while ensuring that the privacy of property owners is protected. There is no guarantee that the City will have plans or records on file for all properties. A $25 charge is applied to all property file requests to mitigate admin and staff costs in retrieving the information. For further information about requesting access to a Property file, please visit here. Monthly reports are issued by the Building Department and can be viewed here. Our Economic Development Department has its finger on the pulse of the business community. Whether you’re investigating opportunities in Penticton and need high level info, or your business is here and ready to grow or change direction, we’re here to get you connected and pointed in the right direction. Looking to build or develop? Come in and meet directly with our key Planning and Building staff will attend pre-application meetings and help to direct you to resources as well as to flag any issues or unconventional barriers before they arise. In some cases, your project may be eligible for DCC reductions. The City of Penticton has identified certain types of development and practices that are considered priorities. We want to reward you for making sustainable choices in your development projects. Projects who can successfully achieve a score of 40 or higher on the Sustainability Checklist can have 50% of their DCC’s waived. The DCC Reduction Bylaw is here. A 10% discount will be applied to current charges (excluding taxes) providing payment is received by the City on or before the due date shown on the utility bill. Penticton airport flies multiple times daily to Calgary & Vancouver. Just a 50min flight and you’re there! Penticton Regional Hospital provides 24 hour emergency and trauma services, acute services, ambulatory and outpatient clinics, and diagnostic/paramedical services. The $312million investment in the new patient care tower will greatly increase it’s capacity, provide a home for the UBC Faculty of Medicine, and further drive Penticton’ key role as the hub for the South Okanagan, Similkameen Valley & Boundary Country. Our fast, stable internet with Telus PureFibre 250/250mbs and Shaw Cable 150/150mbs (fibre services optional) provide some of the fastest and most stable upload and download speeds in Canada. Work here and connect with the world at lightning speed. 2,000 hours of sunshine every year, a mild dry winter and great outdoor opportunities makes Penticton a 4 season playground. A great lifestyle for you and your employees. Canadian Federation of Independent Business rated Penticton in the top 5 most entrepreneurial cities in Canada in its 2015 and 2016 ranking reports (more recent reports have not been released). We're listening & planning for the future. Our community engagement portal ensures that we're speaking directly with our residents on all important topics. 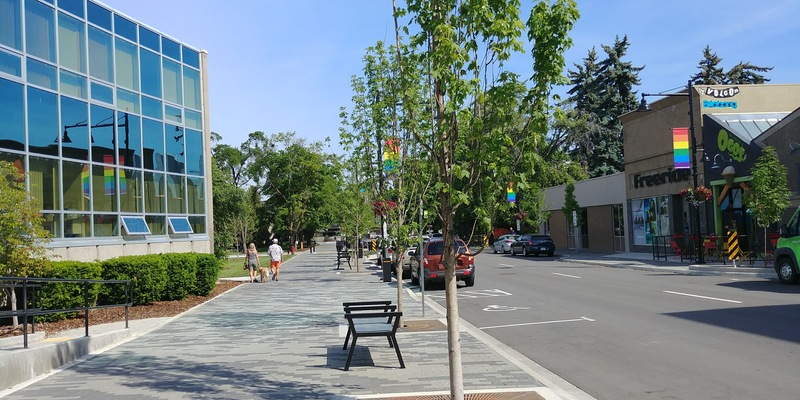 The City of Penticton is refreshing the Official Community Plan and investing in studies to better understand what our population growth projects are and what we'll need to support it. Access this research and seize opportunities to meet market demand as it evolves. British Columbia’s Indigenous Small Business Resources - Discover national and provincial sources of financing and loans for Indigenous enterprises. Canada Small Business Financing Program - Find out about support for small businesses from Industry Canada to qualify for business loans at participating financial institutions. Futurpreneur - Find expertise, financing, mentoring and business resources for young entrepreneurs aged 18 to 39. Western Economic Diversification Canada - Discover loans for entrepreneurs in western Canada organized by the Western Canada Business Service Network. Community Futures Business Loans - Find out about loans for entrepreneurs in program locations to start and expand a business. Entrepreneurs with Disabilities Program - Get financial advice and business loans for entrepreneurs with a disability. To apply, contact your local Community Futures office. Women’s Enterprise Centre Loans Program - Find out about loans for women-owned businesses, as well as professional business advice and support. Canada Business Network - If you are looking for money for your business, you should start by learning about the different types of financing that are available. Business Development Bank of Canada - Access expert advisory services, financing, and a host of educational resources and economic data. Grants may be difficult to find, but have the advantage of being ”free money” that you don’t need to pay back. The City of Penticton is responsible for providing a broad range of services and amenities to its residents, from sewer, water and roads, to waste and snow removal, to cultural, and recreational spaces. Unique to our community is the fact that Penticton owns the Electrical Utility that provides electricity to nearly 20,000 residential, commercial and industrial accounts. Built in 2008, the $56-million facility seats over 5,000 guests in a state-of-the-art building that is home to the Penticton Vees hockey team and also welcomes entertainment events from all around the world. 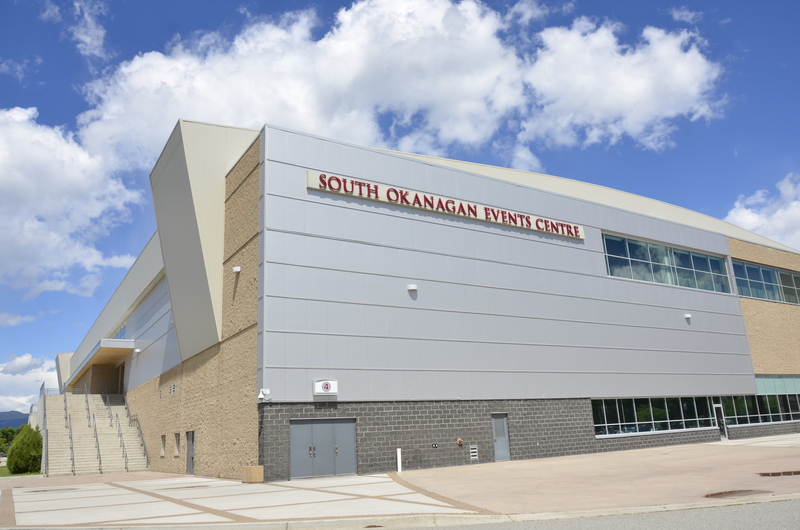 The SOEC is a core component of a 16 acres community campus that houses the Penticton Trade & Convention Centre, the Community Centre, Cleland Community Theatre, Curling Rink, Memorial Arena, Okanagan Hockey School, and most recently the Wine Information Centre and Cascades Casino. View Image Here. Completed in 2011, the $43million Jim Pattison Centre of Excellence in Sustainable Building Technology and Renewable Energy Conservation at Okanagan College in Penticton is one of the world's greenest buildings, and the most sustainable post-secondary building in Canada. Featuring extensive use of wood products and advanced wood technologies—such as innovative composite floors and walls—the centre met LEED Platinum standards and the Living Building Challenge, a program to build the most sustainable buildings possible using today's design and construction technologies. The building plays host to signature Okanagan College courses such as the Sustainable Construction Management Technology, Human Kinetics, Viticulture and the recently constructed $300,000 Wine Sensory Lab. A critical upgrade to underground water services was required in the downtown section of Main St. Following on from design visioning sessions held in 2010, a private public partnership was struck with property owners along the construction corridor to add in sidewalk widening and street beautification to the project. To date, three blocks (100-300) have been completed as well as an earlier upgrade to 200 block of Martin St. Total investment has been more than $7million. View Image Here. Providing healthcare to the South Okanagan, Similkameen & Boundary region, PRH is undergoing a $312 million upgrade. Phase 1 (due to be completed in early 2019) is the construction of a Patient Care Tower, a six-storey, 26,155 square metres (281,530 sq. ft.) providing 84 patient rooms, ample parking, a rooftop helipad and multiple new surgical rooms. YYF provides multiple direct daily flights to Calgary and Vancouver provided by Air Canada and WestJet. Nearly 400 seats fly into Penticton each day. The airport is undergoing a $6-million upgrade to improve the terminal experience and logistics.